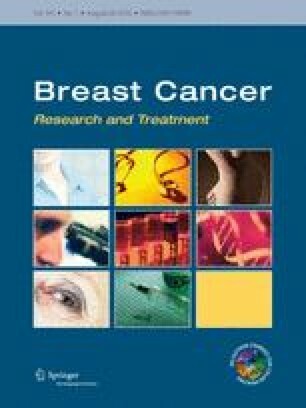 Randomized trials have demonstrated the efficacy of radiation and tamoxifen in reducing risk of second events after breast-conserving surgery (BCS) for ductal carcinoma in situ (DCIS), but the comparative effectiveness of mastectomy, BCS, and adjuvant treatments have not been established in community practice. We examined disease-free survival (DFS) among 1,676 DCIS cases diagnosed during 1995–2006 in the population-based Wisconsin In Situ Cohort study. Information on patient and tumor characteristics, treatments, and second breast cancer events were collected via a comprehensive review of data from patient interviews, the statewide cancer registry, and pathology reports. Breast cancer DFS was evaluated according to treatment while adjusting for patient and tumor characteristics. After an average of 7.1 years of follow-up, 143 second breast cancer events occurred. Overall 5-year DFS was similar among women treated with ipsilateral mastectomy (95.6 %; 95 % CI 93.5–97.0) compared to women treated with BCS and radiation (94.8 %; 95 % CI 92.8–96.1), though women receiving BCS without radiation experienced poorer overall DFS (87.0 %; 95 % CI 80.6–91.5). Women treated with tamoxifen in addition to BCS and radiation had a similar risk of a second breast event, although the hazard ratio (HR) suggested a potential benefit (0.70, 95% CI 0.41-1.19). Women treated with BCS, radiation, and tamoxifen had comparable risk of a second event as those treated with ipsilateral mastectomy (HR = 1.20; 95 % CI 0.71–2.02). In this population-based sample, the use of BCS with radiation and tamoxifen resulted in high DFS rates comparable to those achieved by ipsilateral mastectomy. National Cancer Institute (U54 CA163303, R01 CA67264, R01 CA47147, P30 CA14520); Department of Defense Breast Cancer Research Program (BC102357); American Society of Preventive Oncology sponsored by Susan G. Komen for the Cure and the Prevent Cancer Foundation (PCF-0596). We would like to thank Drs. Andreas Friedl, Kathleen Egan, Linda Titus, Hazel Nichols, and Shaneda Warren Andersen, along with Kathy Peck, Julie McGregor, Laura Stephenson and the Wisconsin Cancer Reporting System.